D.E. Gemmill Inc. carries Rasco FR flame-resistant pants in a wide range of sizes, for both men and women. 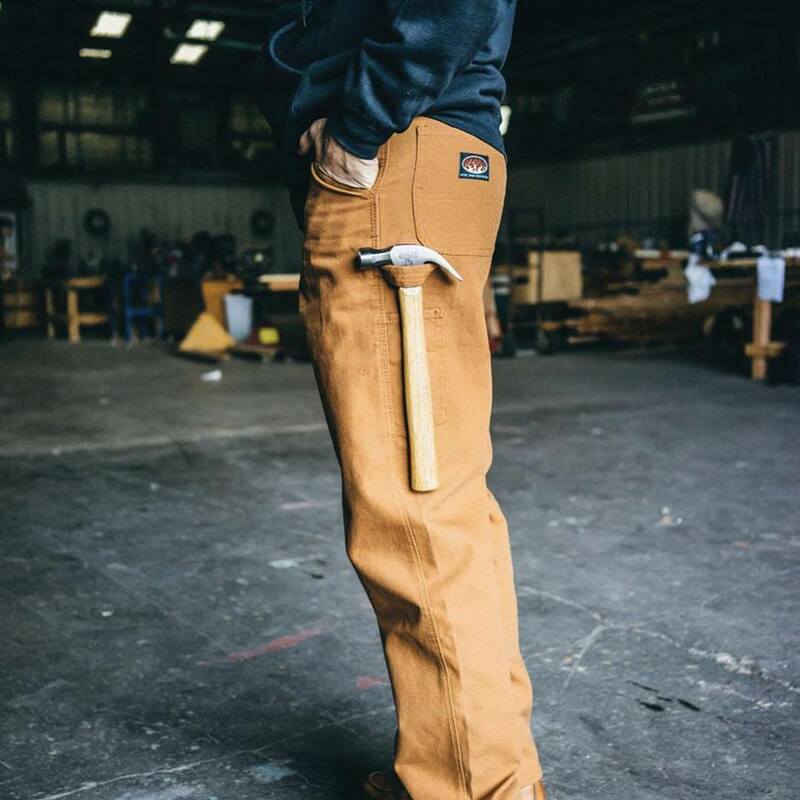 Rasco FR products offer the comfort and looks of traditional jeans, with industry-approved protection for working around sparks and in other dangerous environments. Best of all, they’re affordably priced, making it easy to stay safe on the job. Browse our selection on this page and place your order through our secure online store. For more information, or for help putting together a package of safety clothing and equipment, please contact our office by phone or email. One of our knowledgeable representatives would be happy to help. Why Purchase Rasco FR Jeans? Rasco FR manufactures its flame-resistant pants from pre-washed denim, typically 14 oz. or 11.5 oz. weight, depending on the style. They feature a standard five-pocket configuration, with a pair of reinforced back pockets, two main front pockets and a coin pocket on the right side. Most versions feature a relaxed boot cut fit, offering room to move without the safety risks posed by more baggy styles. Rasco FR pants are ideal for welders and electricians, utility workers, and anyone working in a chemical, pharmaceutical, pulp and paper, paint, or food processing plant. NFPA 70E: The standard for electrical safety in the workplace. ASTM F1506: The standard performance specification for flame-resistant and electric arc-rated protective clothing worn by workers exposed to flames and electric arcs. NFPA 2112: The standard for flame-resistant clothing for protection of industrial personnel against short-duration thermal exposures to fire. Since 2001, Rasco FR has been a leader in specialty safety clothing for electric utility, oil, petrochemical, and other workers — anyone who works around arc flashes and other potential hazards. The company manufactures clothes with the wearer in mind and stands behind all flame-resistant pants with a comfort guarantee. The result is a product that’s easy to work in, while offering the peace of mind of knowing you’re protected at all times. Rasco FR produces all clothing in an ISO 9001-certified facility to ensure consistency and quality. The company also guarantees the flame resistance of its products for life, provided the user follows the appropriate care instructions. Why Buy Your FR Pants from D.E. Gemmill Inc.? D.E. Gemmill Inc. is your source for buying Rasco FR jeans online. We are proud to partner with the company and other trusted manufacturers to offer personal protective clothing at an affordable price. We carefully choose every item in our online store to ensure it meets our customers’ demanding standards. Safety is something we live every day. In addition to retail sales, our team also provides contracting services to roadwork crews and other professionals. Explore our website to learn more about our expertise, or shop our selection of FR pants for sale online and don’t forget to check out our women’s line of FR clothing. When you shop with us, you’ll enjoy quick, reliable shipping and our outstanding return policy in case you’re not entirely satisfied with your purchase – order today!